Pool covers offer great cost saving and other benefits to the pool owner. • Water – reduces evaporation – saving water. • Algae growth – chances of quick growth greatly reduced. • Water contamination – greatly reduced. • Safety – incredible safely levels to children. • Recycled 500g – Black on the one side and some or other printing on the other side. • Virgin 500g – Black on the top side, white on the other side. • Virgin 550g – Blue both sides. • Virgin 600g – Top side blue, under side black. 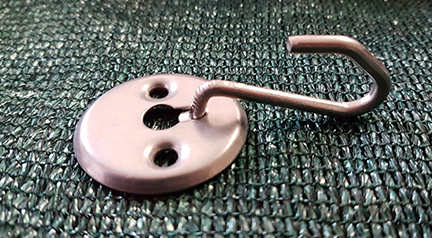 Our recycled 500g is an eco-friendly and cost effective option for the cash strapped pool owner. 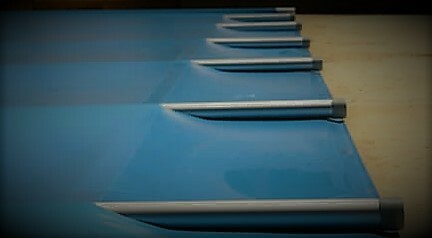 Covers can be made to fit any pool size and shape. 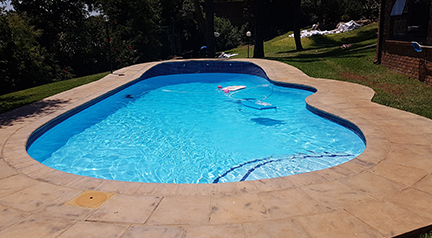 Covers are held in place by stainless steel pool hooks and plates or our pole role system is also available for pools of 5.5m width or less. These can be DIY installed or by our factory installation team.